Discount Seamless Gutters is a family-owned and operated contractor that is dedicated to providing quality products and services at an affordable price. We have been serving our community since 2000 - let our experience to work for you. We offer professional gutter cleaning, gutter repair, gutter installation, and gutter protection system installation throughout Southeast Michigan. Our personal service, affordable prices, and comprehensive selection of colors and styles make us the smart choice for all your gutter needs. Don't let your damaged or clogged gutters put your home at risk for water damage. Contact the experts at Discount Seamless Gutters today! Discount Seamless Gutters is based out of Grand Blanc, MI, is fully insured, and a State of Michigan Licensed Builder (#2102162878). 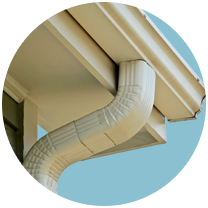 Our team will work with you to find cost-effective solutions to all of your gutter installation and repair needs. 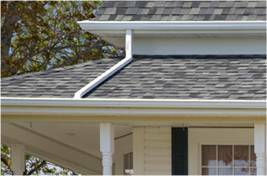 From gutter covers to gutter cleaning, we are here to help.